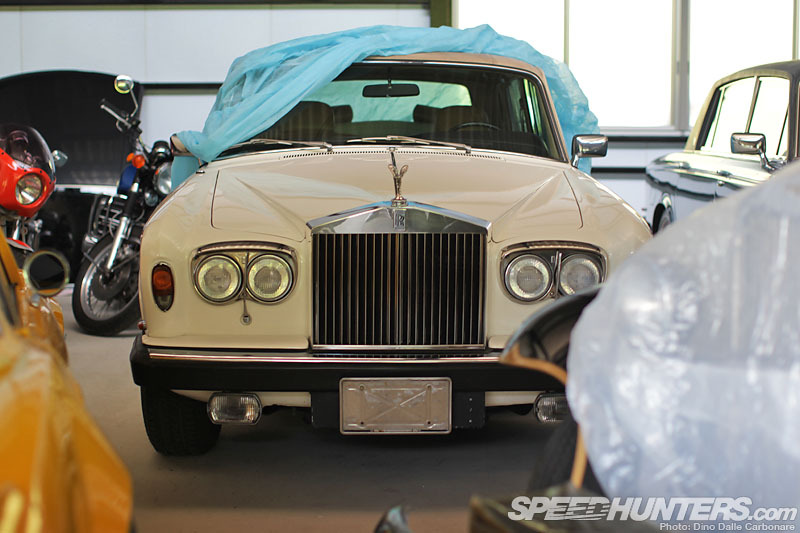 It was sometime last year that Watanabe-san of Rocky Auto told us he was putting the finishing touches on a brand new garage right next to his house. 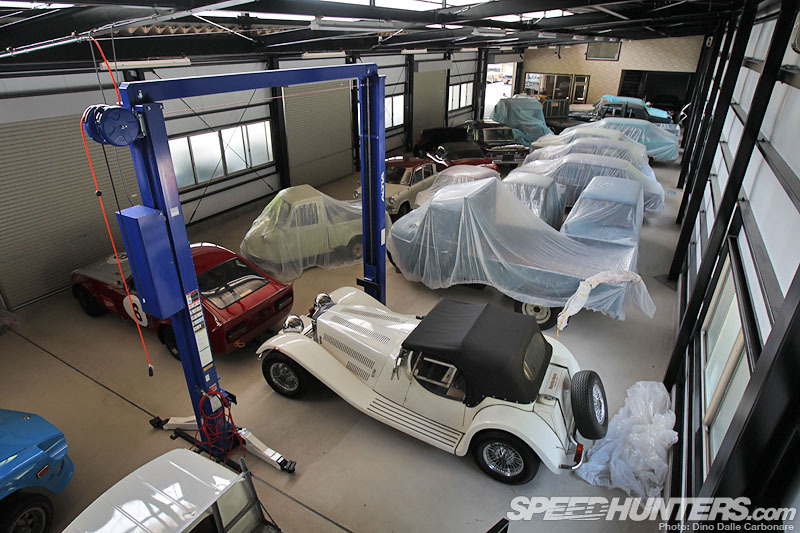 Seeing as he’s accumulated quite a collection of vintage and classic rides over his years in business, the need for more storage space sparked the idea to create something a little bit more than your average two-car tin knock-up. So on my way back from Liberty Walk a few weeks ago, I thought it would be the perfect opportunity to stop by and have a look. When Watanabe said “garage” I was imagining some kind of extension of his existing building, or a small separate building, but what I saw upon my arrival literally blew me away. 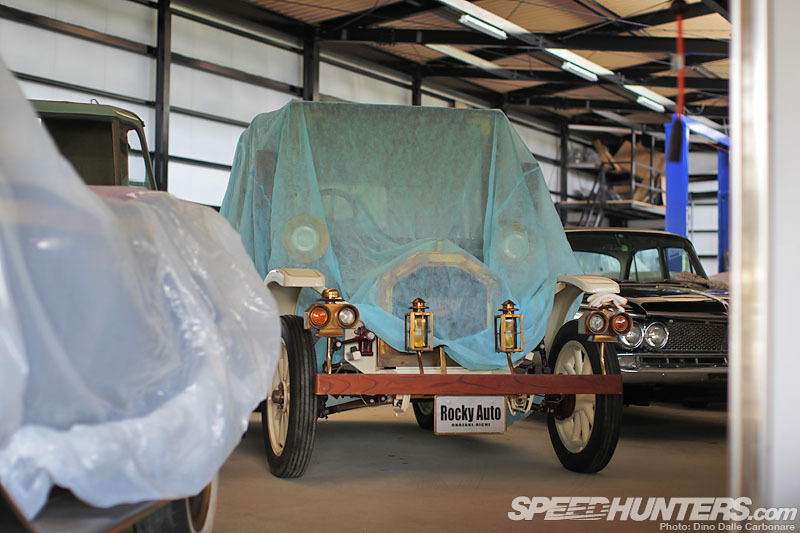 I’ve always been impressed by the sheer number of cars that are usually displayed in front of the Rocky Auto shop in Okazaki, but little did I know that was only a fraction of its actual stock. 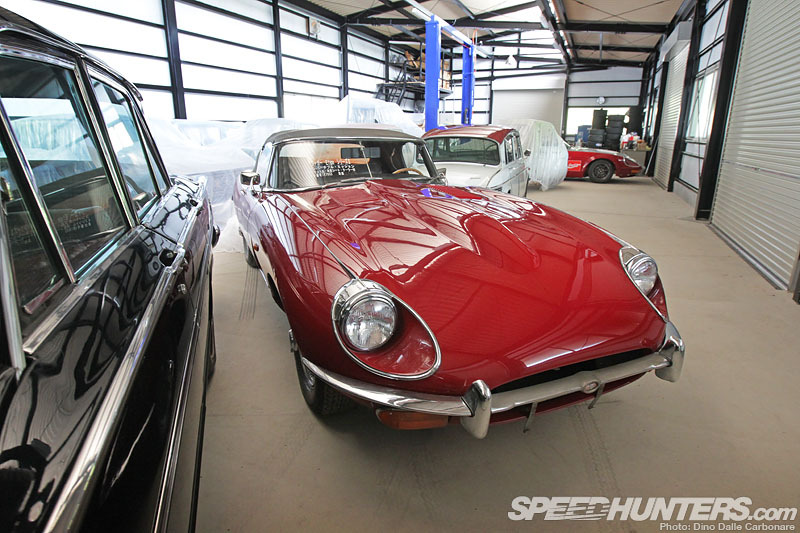 It turns out the talented car builder has an incredible collection. Some cars he has no intention of selling and others are in the process of restoring and selling, so it’s kind of understandable why he would need a lot more space to keep them all in. 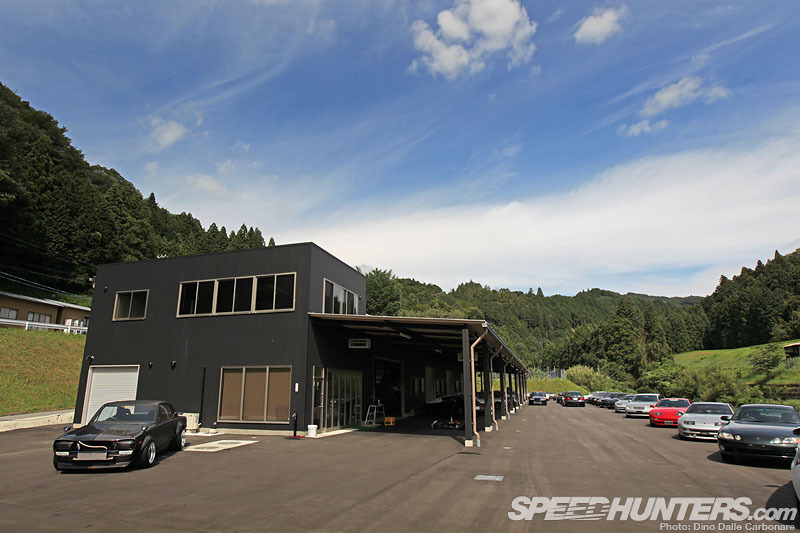 The massive new garage/warehouse/workshop is a good half-hour drive out of the city, nestled deep in the lush Aichi-ken hills. 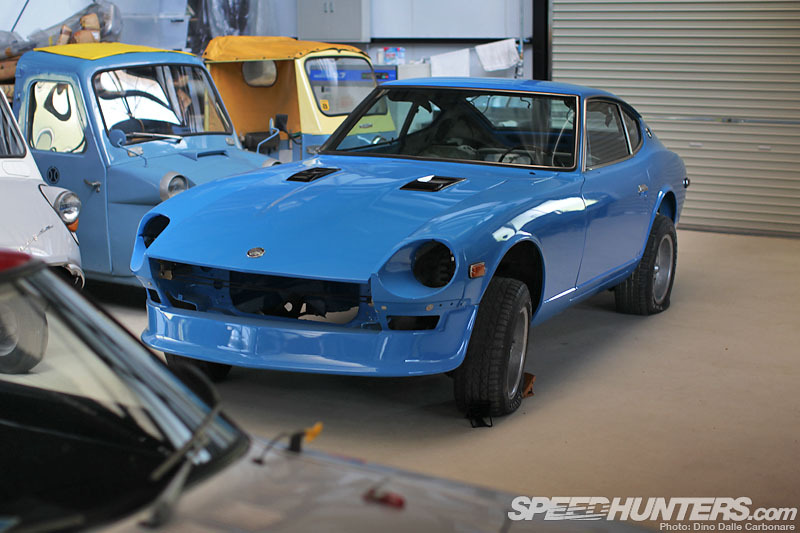 … beginning with this V8-powered Datsun 240Z that was recently imported from the US. … with a couple of Rolls-Royces parked right behind it. … including some truly antique vehicles. 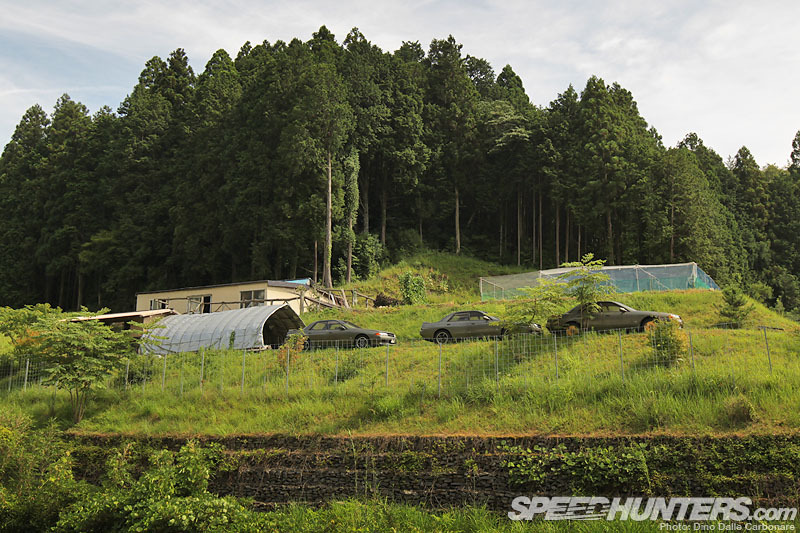 The kyusha scene has been enjoying an unprecedented growth recently, with all sort of cars coming into high demand. 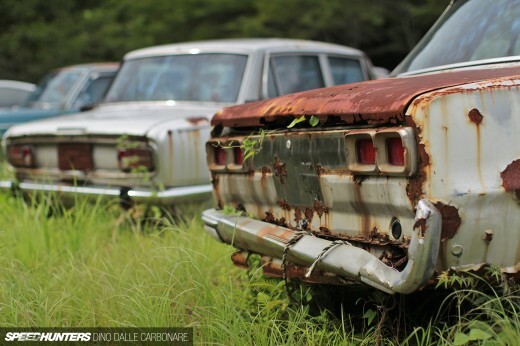 I will touch more on this next month in an editorial piece, but the fact of the matter is – the Japanese aren’t letting any of their historic cars die away any more. That’s a very good thing as there are a huge number of historically significant vehicles out there other than your usual Fairladys and Skylines. I spotted the front end of a Prince Gloria Super 6 sticking out of the covered two rows of cars in the main garage space. … even a front bench seat! … it was hard to resist the lure of a machine than Enzo Ferrari once referred to as the most beautiful car ever designed. … but Watanabe loves it so much he isn’t in a hurry to get rid of it. A look under the front-hinged hood was a must. I’m a great fan of inline-six engines and it’s great seeing older units like these. I just wish manufacturers hadn’t abandoned this layout in favor of the more compact V6s. 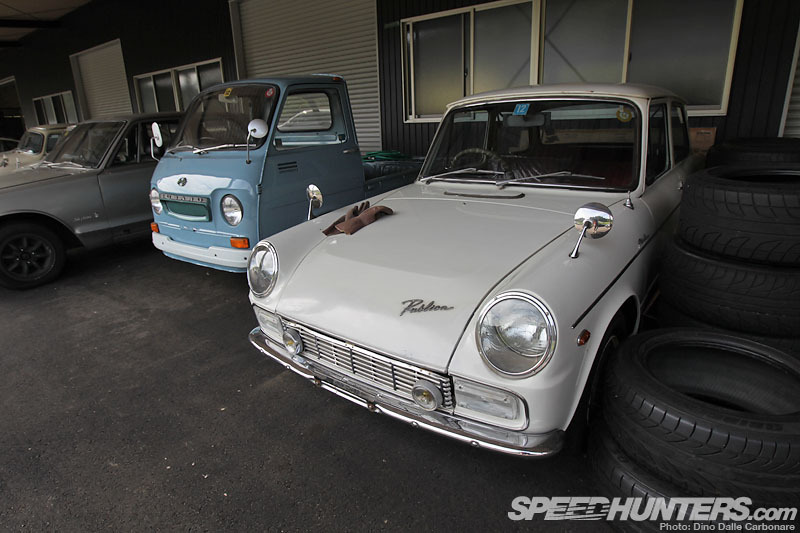 Affordable old vintage cars are all the rage in the JDM vintage world with more and more people willing to invest in vehicles that remind them of a bygone era. 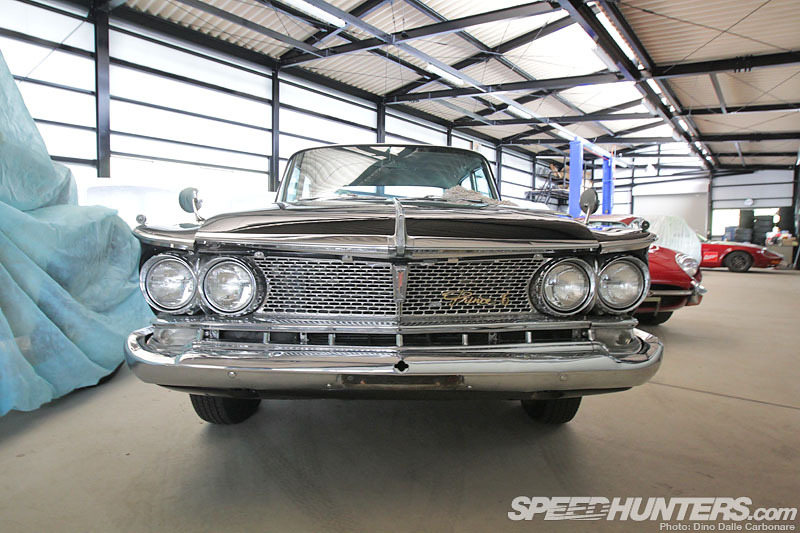 This Mazda Carl Deluxe is one of Watanabe’s latest purchases, and despite requiring a little TLC, it’s in excellent condition. 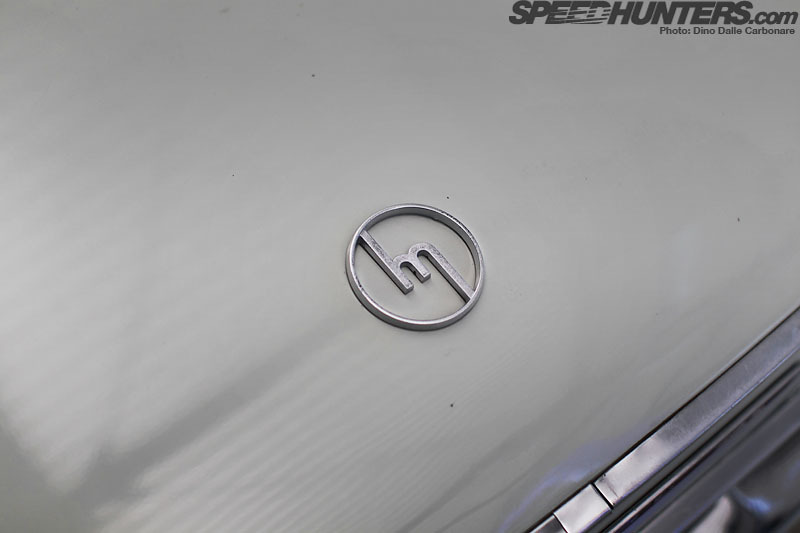 Am I the only one that thinks Mazda should start using its old emblem again? So simple! 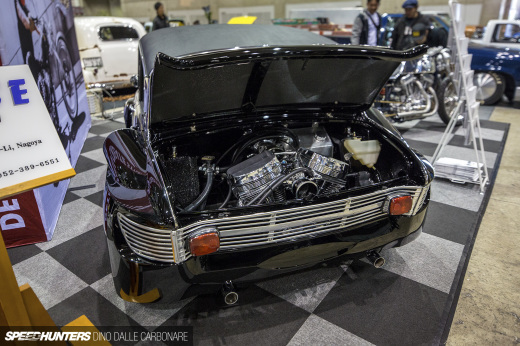 … and just like it’s V-twin powered little brother, it had the engine fitted in the back. With a capacity of just 358cc it’s one of the smallest inline-four engines ever made. 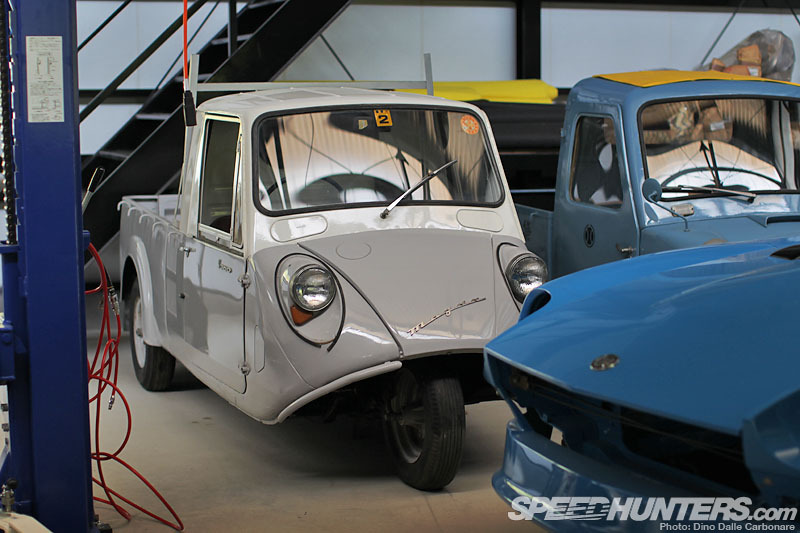 And here’s the three-wheeled version – the K360 kei truck. 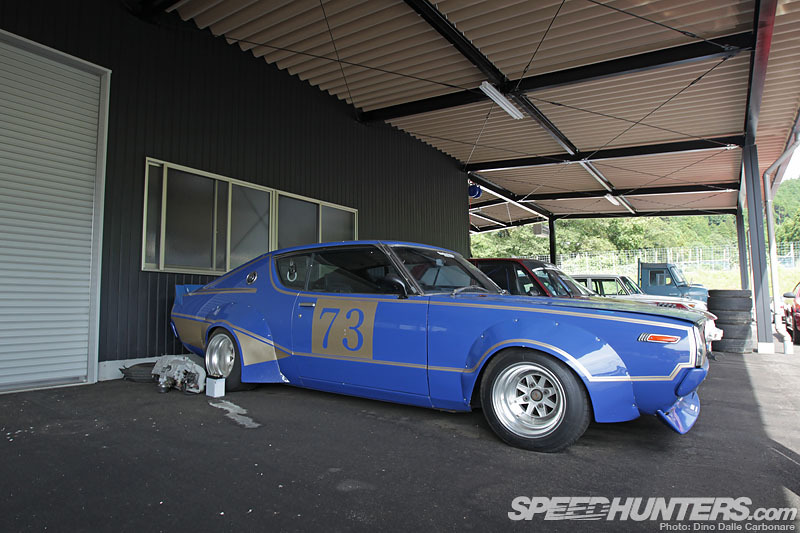 This blue S30 has just gone through paint and was waiting to be transported to the main shop where a custom driveline will be installed. 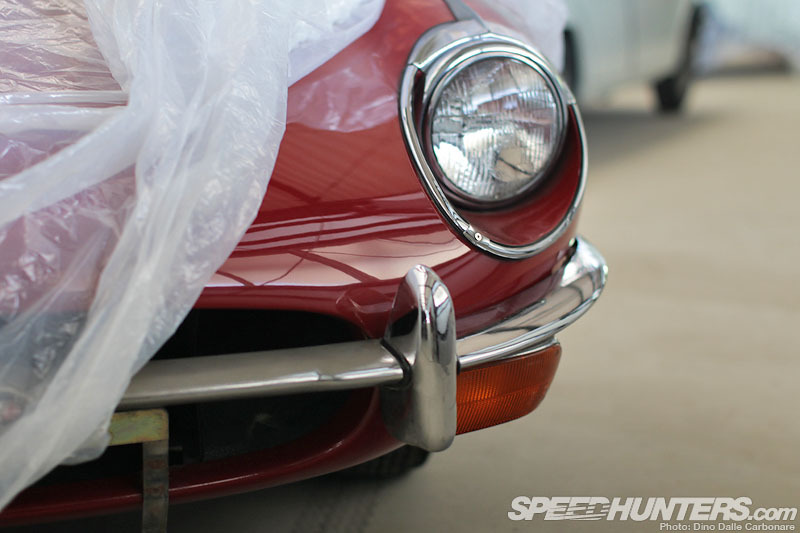 … which is just about to get repainted and refreshed for the upcoming JCCA event at Fuji Speedway. I really wanted to do a full feature shoot with it then-and-there, but he asked me to come back once it’s 100 per cent completed. I’m definitely going to take him up on that! Here’s a wider view of the garage and the rest of the cars that were housed within during my visit. 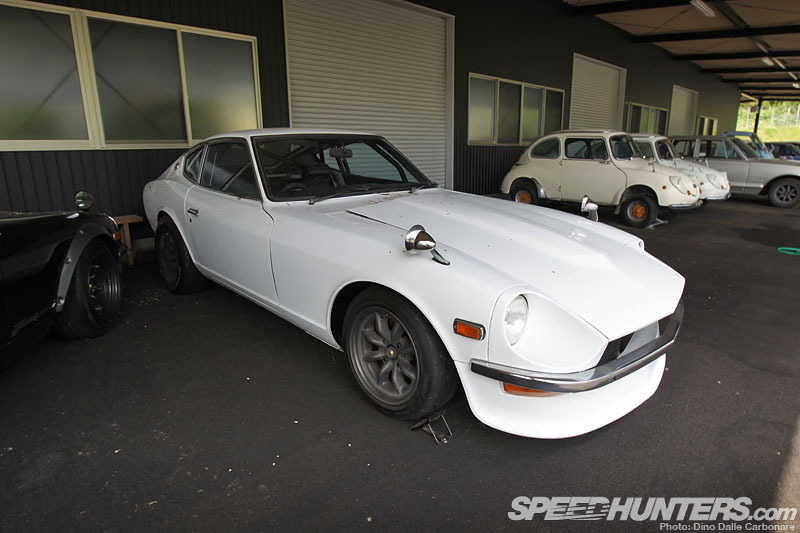 At the same moment I headed outside to see what else I could uncover around the property, a transporter dropped off Rocky Auto’s RB26-powered S30 Z. This beast develops close to 600hp! 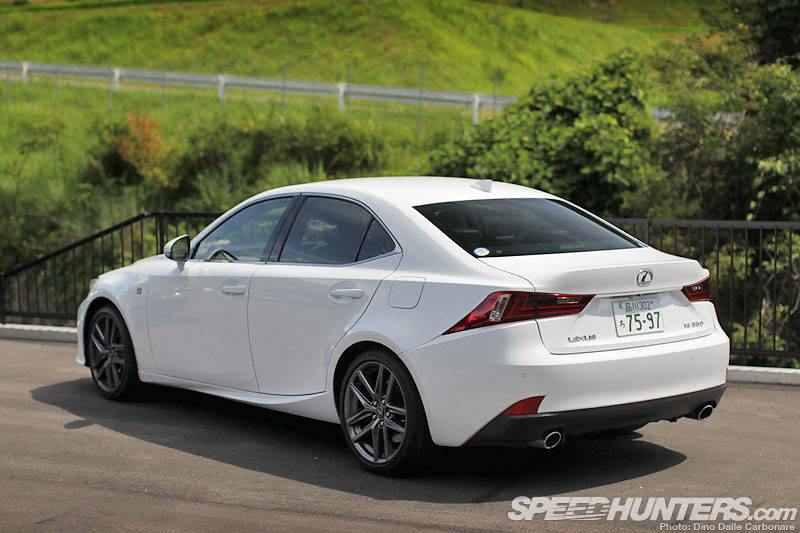 My ride for this little excursion down south was the new, and rather bravely-styled Lexus IS350 F Sport. 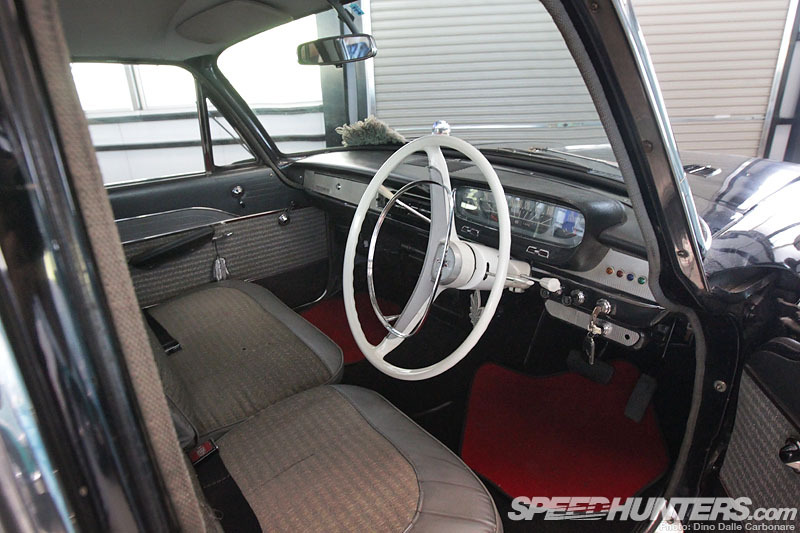 I’ve got a Dream Drive post coming up next month with this car, so stay tuned for that. Outside but undercover at the front of the garage I spotted this little pair of Subaru 360s ready to be given a new lease on life. I always call these cars the Fiat 500 of Japan, for obvious reasons. 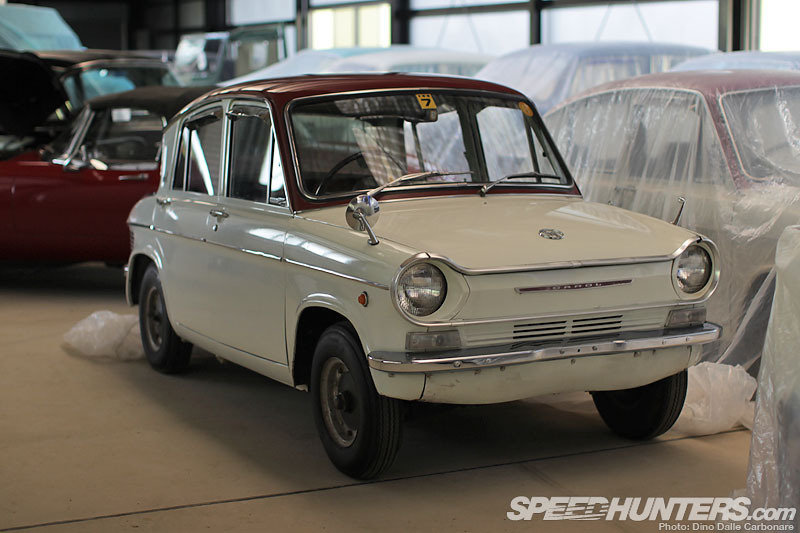 The Toyota Publica is another of those old city cars that have become a sought after piece of Japanese car history. 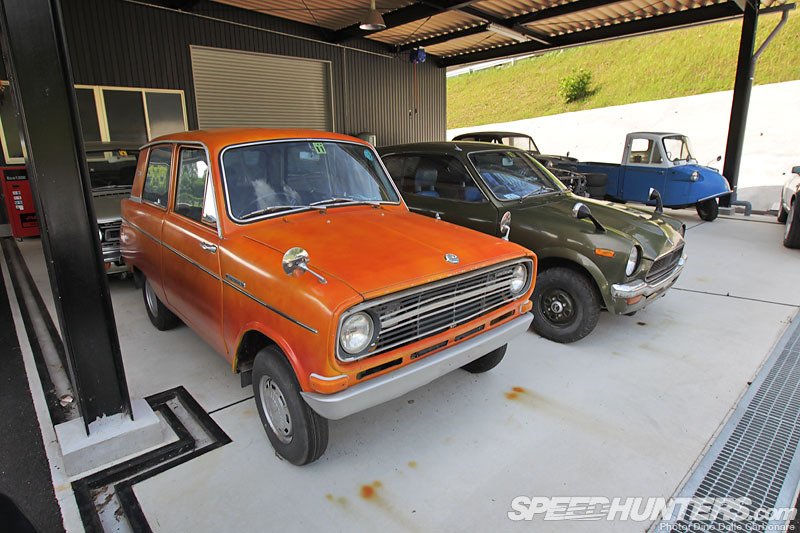 At face value it might just be a regular passenger car from the ’60s, but they’ve become popular with enthusiasts because of their 697cc version of the flat-twin engine that powered the Toyota Sport 800, or Yotahachi. 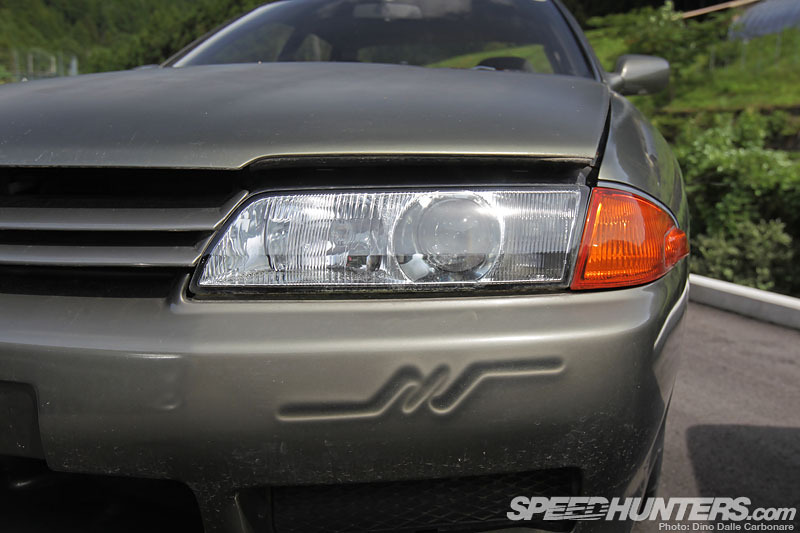 This gave the Publica a low center of gravity and subsequently, decent handling characteristics. Now we are talking! I haven’t seen this works replica Kenmeri for a few years since it was on display outside the main shop. 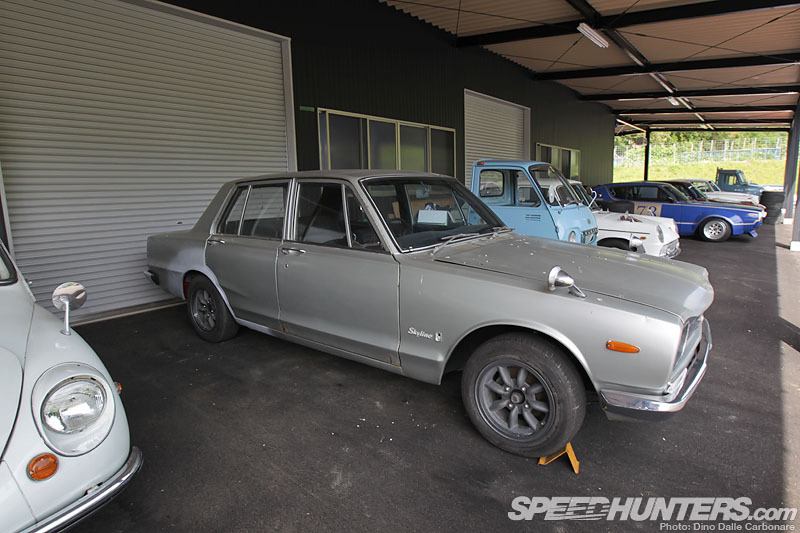 Like the four-door Hakosuka parked beside it, it’s been fixed up and added to the stock list. 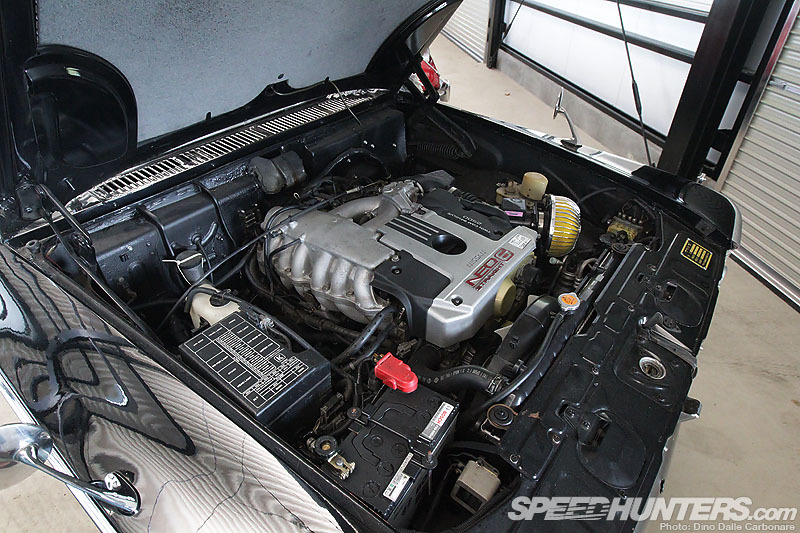 … and it’s a good way of sourcing the rather rare, naturally aspirated ‘DE’ version of the RB26. 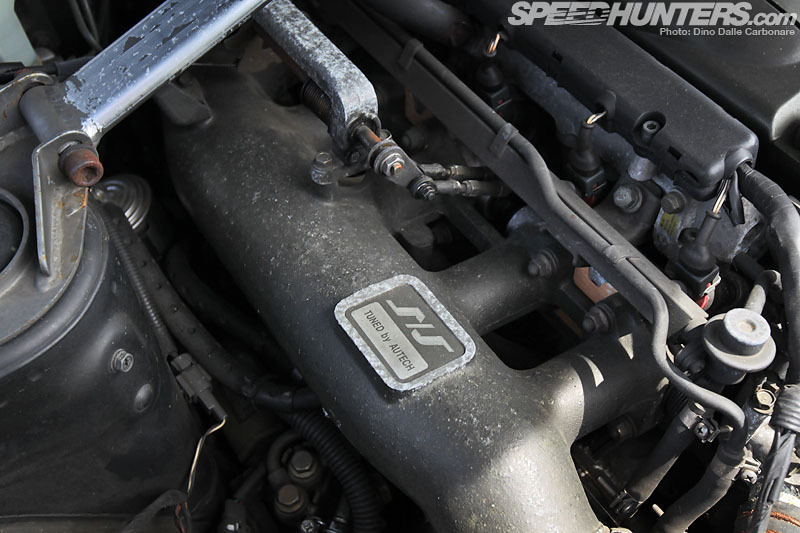 The S/S on the intake plenum stands for Shinchiro Sakurai – Prince’s famous engineer that created the very first Skyline, along with the Prince R380 race car. 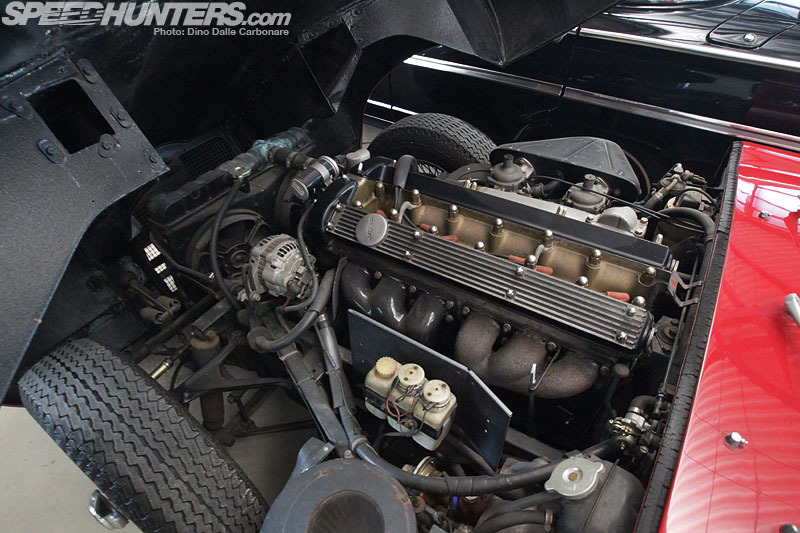 The Plasma-RB26DE develops 220hp at 6,800 rpm and 245Nm (180lb/ft) at 5,200rpm and makes for a very good motor in vintage car swaps. Add some velocity stacks and wilder cams into the equation and you have yourself a modern, reliable, highly responsive and of course – great sounding – alternative to an L-series motor. The damn things were everywhere – even up on the hill opposite the garage! 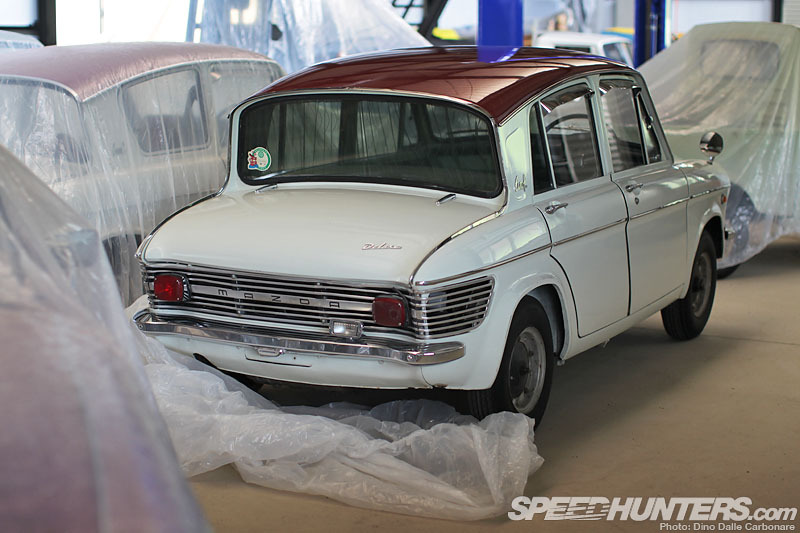 Around the back there was much more to see – mostly hacked up donor cars…. 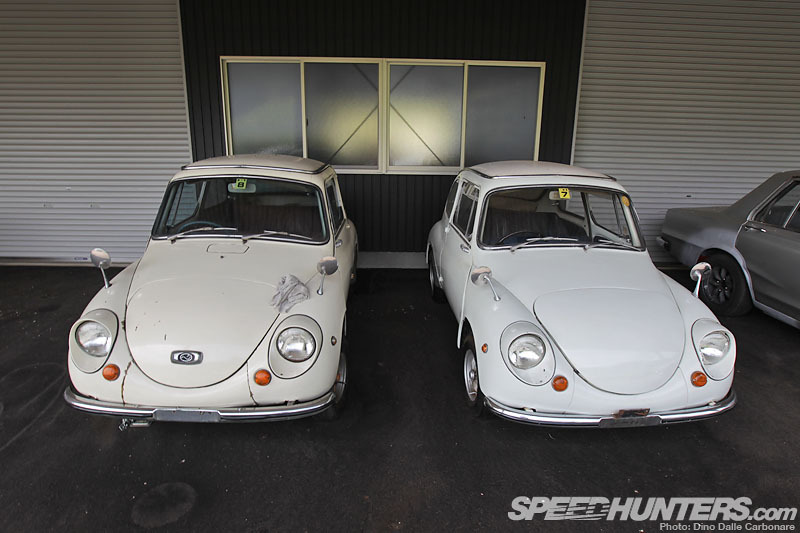 … or other little classics waiting to be given some attention. We may, at times, concentrate on the most powerful and newest cars out there, so days like this, where we’re able to step back in time, are extremely refreshing. 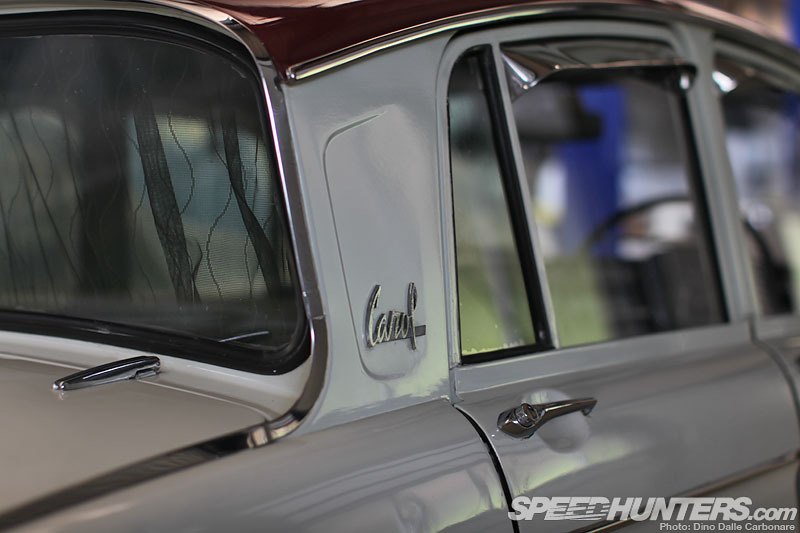 It was all a great warm-up for the car I had actually came to the garage to photograph – one that perfectly represents what Rocky Auto is really good at: giving modern touches to highly sought-after classic rides. Can you guess which one it was? these diamonds in my naked eyes. 20 - 30 years from now, he will have an unprecedented collection of R32 shells and parts to start a whole new order of classic cars to restore. 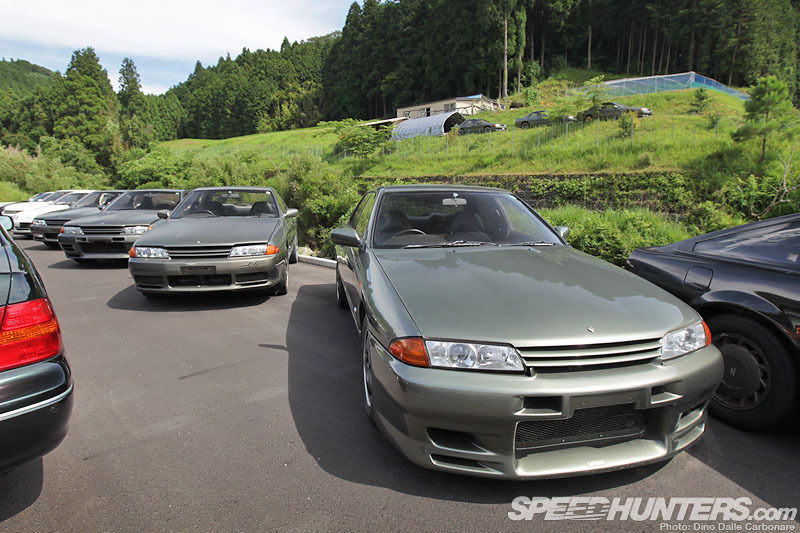 @speedhunters_dino hello! 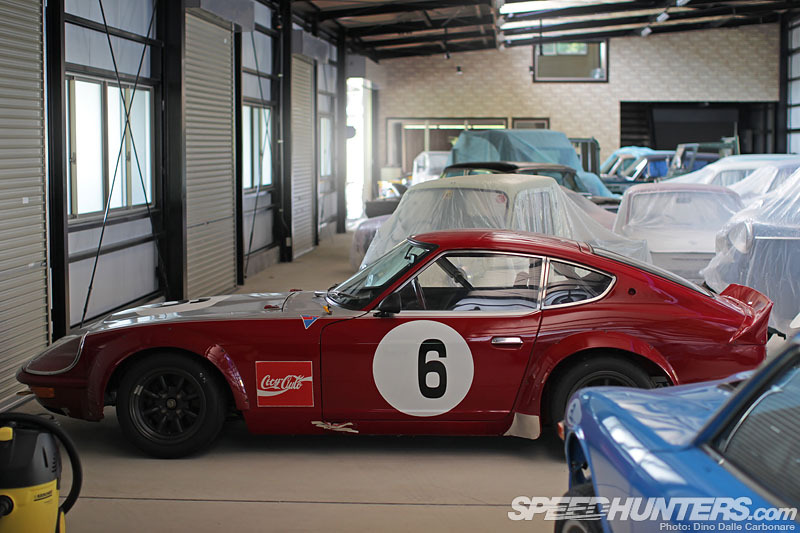 I stumbled across this article a while back and have wondered if you ever got a chance to get more details on the crimson colored 240z with the center exit exhaust. 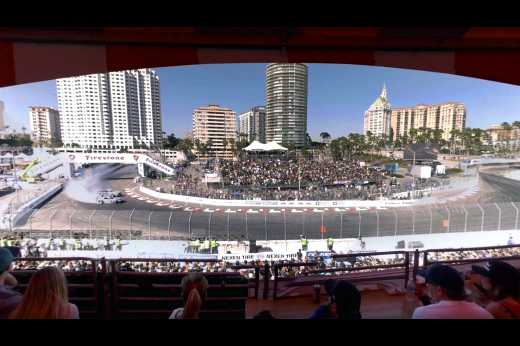 Looks incredible!! Anybody ever see the feature on this red Z?